Greece | . 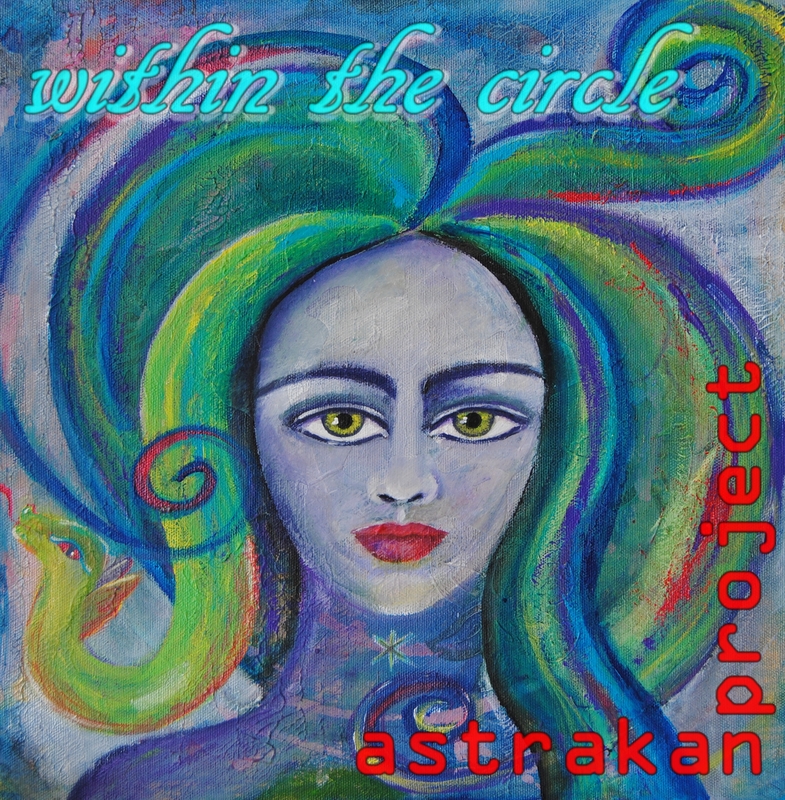 astrakan project . Pancakes…. from? A little fun guess video! Because, well, there was no way we could fit everything INSIDE… and even so, we were lucky all the officials we meet on our way, including the ones at the border were really nice and did not ask to unload everything to get it checked! Thank you all for your lovely support, for sharing and for ordering our album last week, it still decreased the volume we had to carry! And now? Well, we are excited about finishing to settle and get back to real stuff, well, to music! 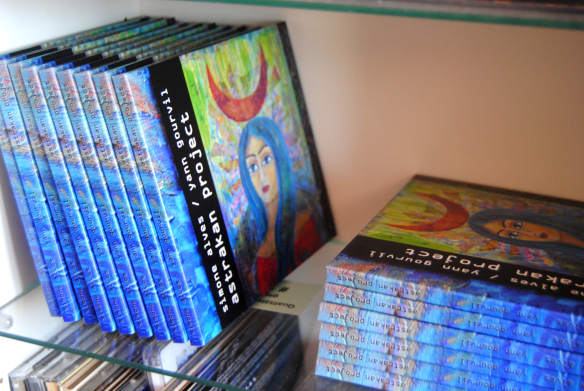 3 Reasons to get our album *now*! You can get it now for 10€ or 13.50$ or £8.35 Price will increase once we get to Greece, mainly because of international shipping costs being much higher there. You know it now! Isn’t it Christmas time already? Avoid the last minute rush, get this perfect gift now, we can send it to any person you would like to treat, and add a special note from your behalf, just specify it when you order. Bonus: it will be wrapped in a nice colour paper! Please help us and share around within your own community using the network little links bellow, the deadline is next Monday, December the 2nd 2013 ! How to fit a music studio AND an art studio in a car? Dear followers, if you’re used to read our diary between the lines, we have given a couple of clues already about our next destination. This is one of the view that will inspire our upcoming projects and sounds, and actually we already composed/discussed/wrote many things from that particular place (if you want to share the feeling with us, you can check here on Google maps). 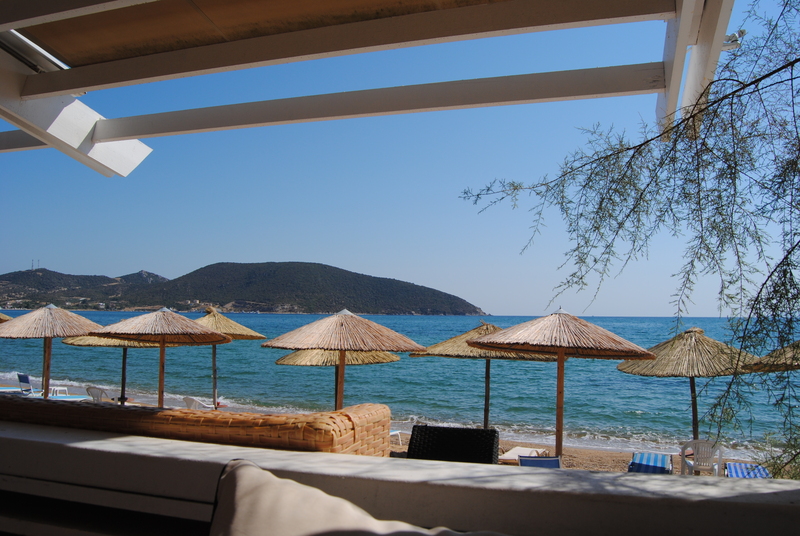 Expect loads of pictures from Greece in next months! So, how do we fit an art studio + a music studio above the usual staff in a car? Well… we don’t really know yet! 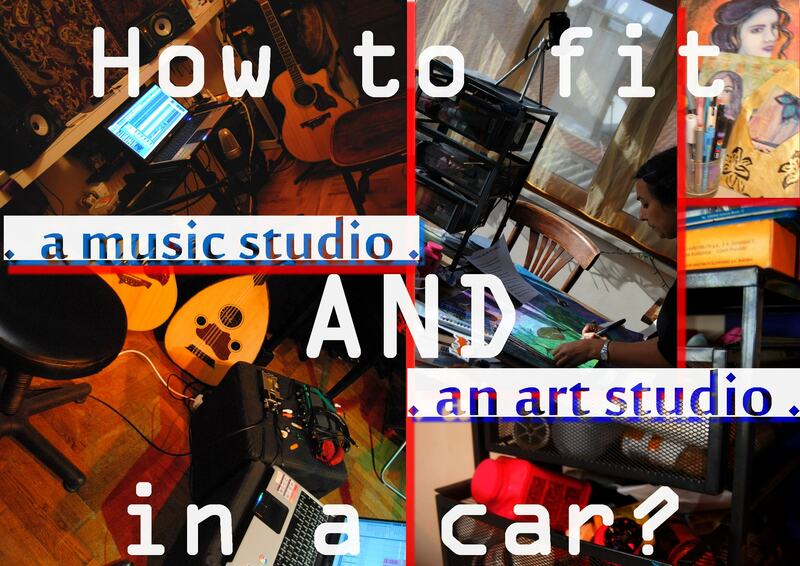 How to fit an art studio and a music studio in a car? 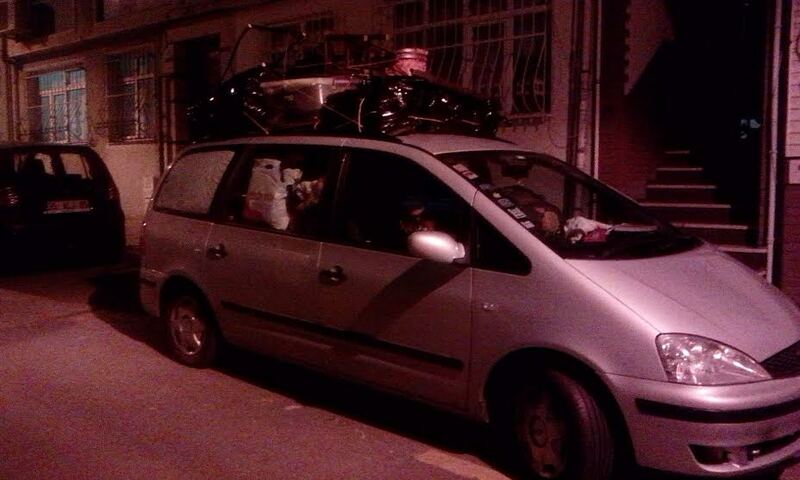 Because yes, we are moving with our car, Kavala is only about 450 km from Istanbul. Help us with this campaign, share around with your friends and family, within your communities, by any way you prefer (over-use the social links bellow!) ! Only valid for one week! 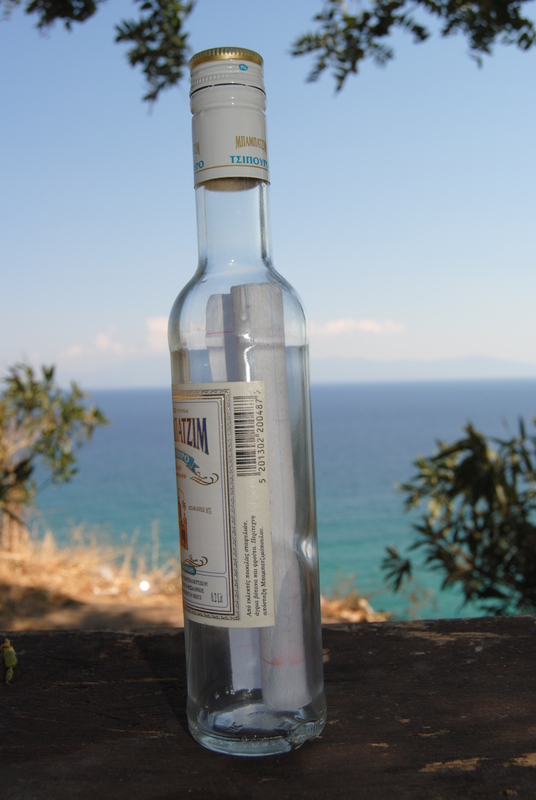 Then, we’ll come back to that later, we’ll have anyway to raise prices anyway, international shipping is much more expensive from Greece than from Turkey. Very colourful again, even if at the moment you’ll only see it threw your screen, it will complete your music experience. 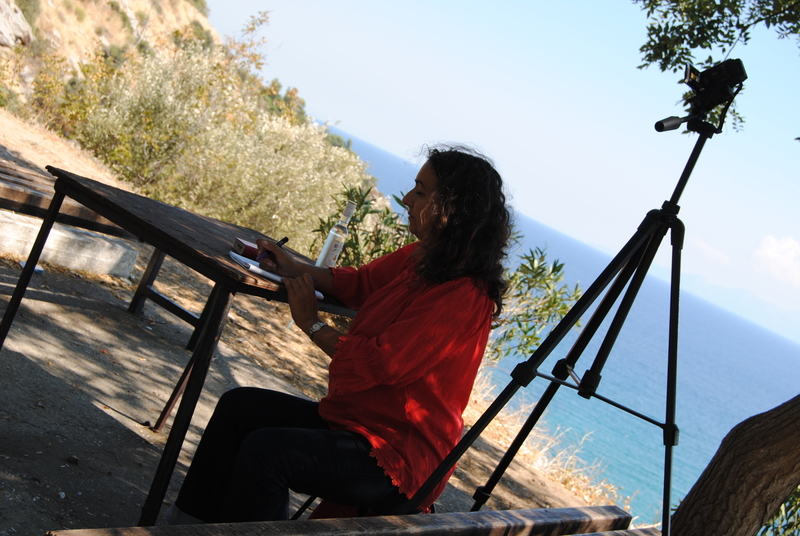 The painting is an evocation of the Greek Goddess of the Sea Tethys, which will be perfect to go along with the second song of the EP inspired by a circle dance rhythm from the Karpatos islands. Music will be released next Friday, 4 long tracks (about 25 min all together!) and available for download directly here, also on our bandcamp page and on our Android app. Yes! We’ll have our android app! How cool is that? As we already mentioned it recently a couple of times, our quest to find our ideal booking agent started ! Apart from a more “conventional” search, we got the idea for an advert campaign while brainstorming. If you want to support us, you can spread the word by sharing around you ! And, as you have seen, it’s only “episode 1” – of course we have more to come ! Since we are at the moment focussed on getting a Booking agent (see video >here<), we started to shoot a couple of videos… more to come very soon !